We can find many interesting and strange flowers all around the world. 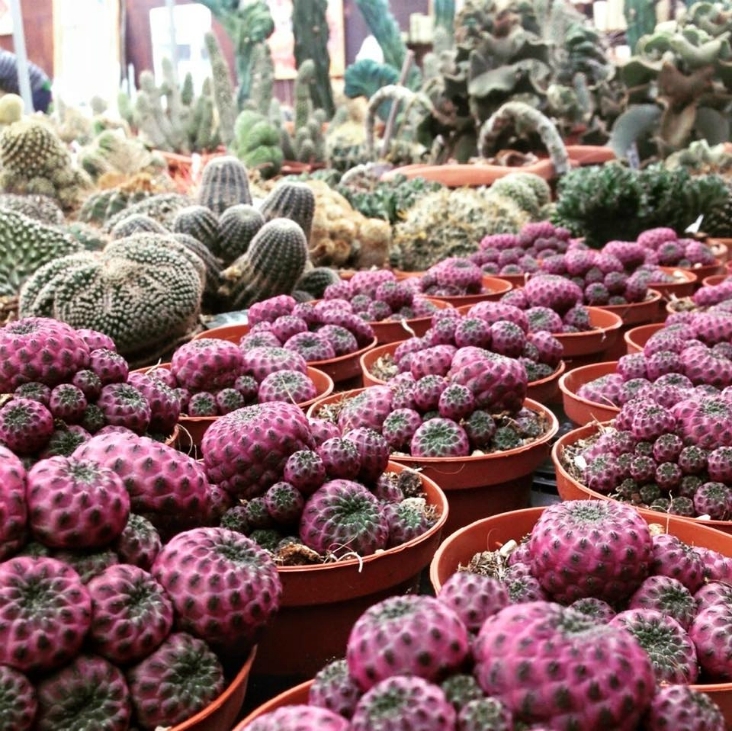 They come in many shapes and sizes but the cactus plants are some of the most amazing and unusual you can find. They are extremely durable, able to survive in some of the harshest and most demanding environments. Almost all types of cactus plants are protected by an outer layer of spines and their thick skin helps them to go without water for a very long time. 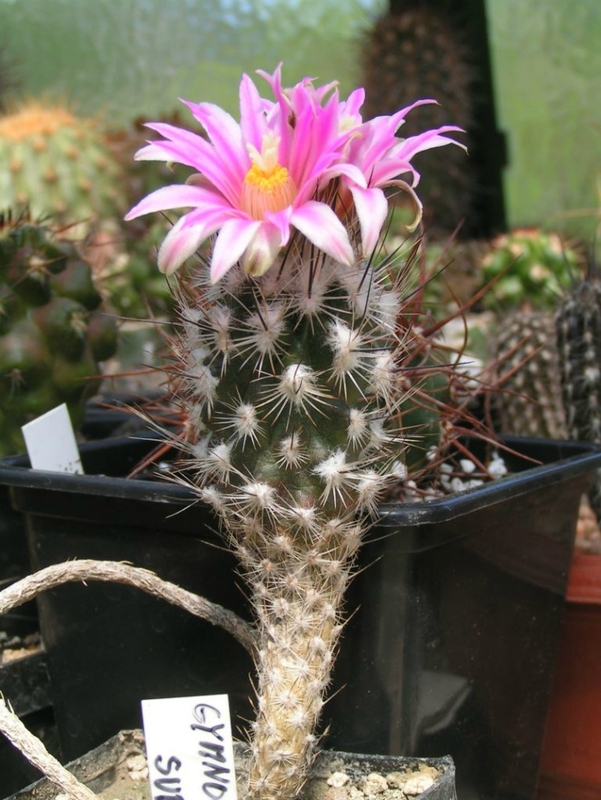 Among those incredible types of cactus plants we can find some verities that are very rear and unusual even for cacti. Check out this list and see it for your self. 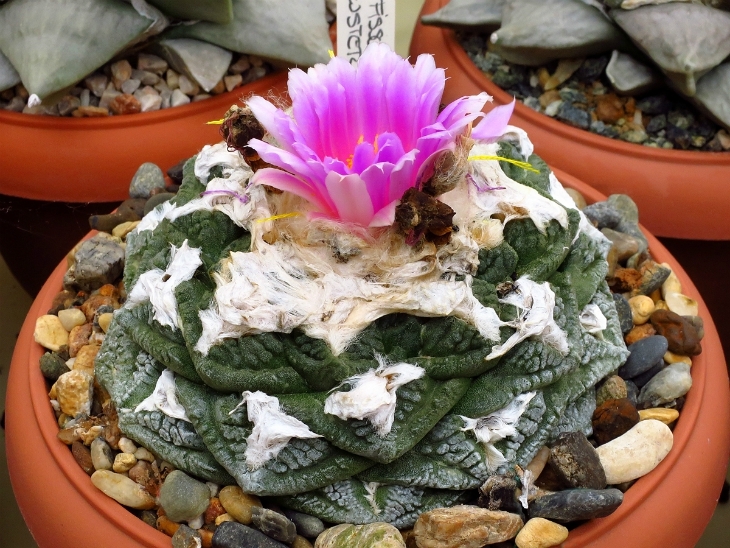 The most interesting thing about Turbinicarpus subterraneus lies below the soil’s surface. This cactus has incredible roots often the same size as the part of the plant that you see above the surface. It allows them to survive long periods of drought or temperatures as low as 28.4°F. 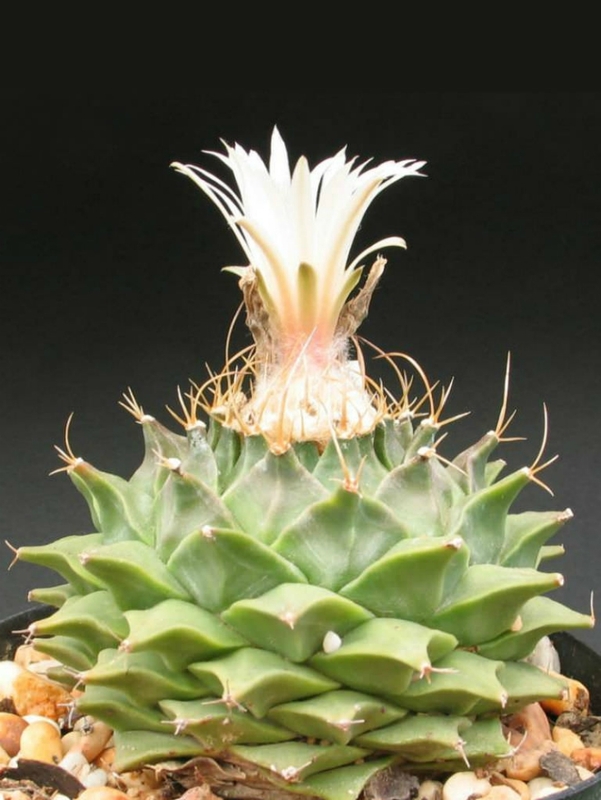 The agave cactus starts growing as any normal cactus seedling but then it develops its points. Older it gets, more they will look like some kind of thick fingers tipped with small clusters of spines. 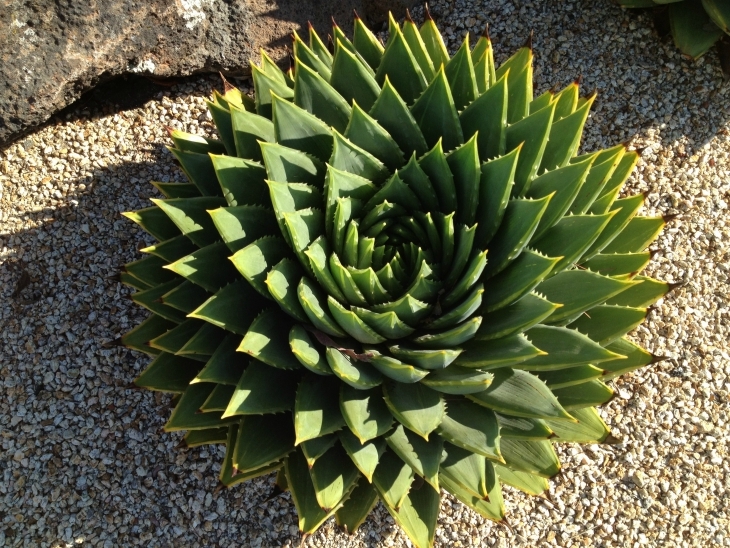 The agave plant will continue maintaining the shape but won’t produce any small offspring. 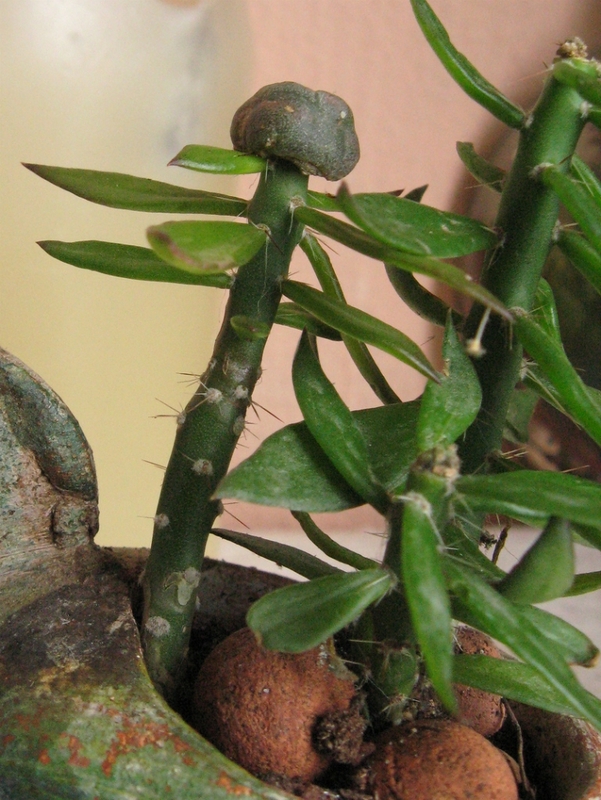 Ariocarpus Fissuratus has very small and weak spines as a seeding which will fall off when this cactus plant will age. It produces small amounts of psychoactive substances in order to protect itself against animals. This plant grows extremely slow. Sulcorebutia rauschii is a miniature clustering species and it forms clumps of many heads with very short, black spines. The stem is covered by flat tubercles which can be find in dark green and violet colour. The plant will blossom in late spring. 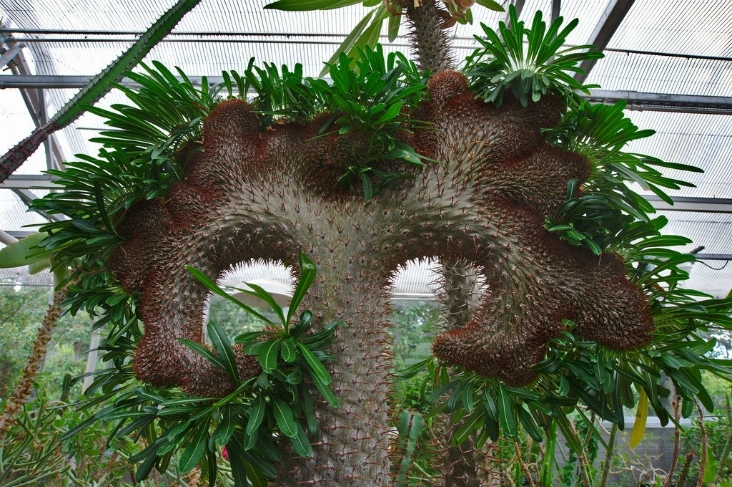 Pachypodium lamerei forma cristata is a large unique looking succulent. The plant should be re-potted every 3 years which can be quite tricky given all the spines. Due to genetic mutation, crested growth occurs. Some areas may be growing normally but they should be removed to promote the growth of the crest. The name already implies that this cactus looks like the snake hair of medusa. Astrophytum caput-medusae produces some of the largest seeds among cacti. It also blossoms with beautiful yellow flowers. The artichoke cactus plant grows in a geophytic manner. It grows in a spiral which is formed from the growth point. 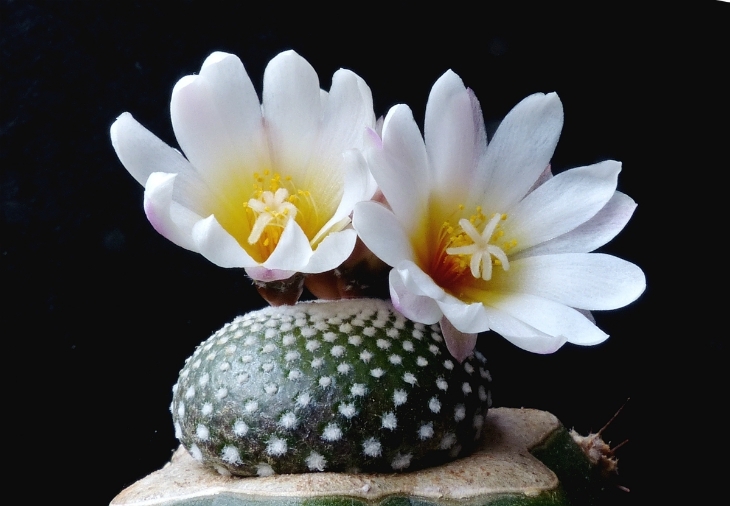 This gorgeous cactus blooms in the summer. Small flowers are resulting in an edible, fleshy fruit. Blossfeldia liliputana got the name from the land of Lilliput in the novel Gulliver’s Travels. That is because it is one of the smallest cactus maxing out at half an inch across. The plant produces beautiful flowers during the summer months. Hylocereus undatus can be quite large. It can reach about 14 inches in length and around 9 inches across. 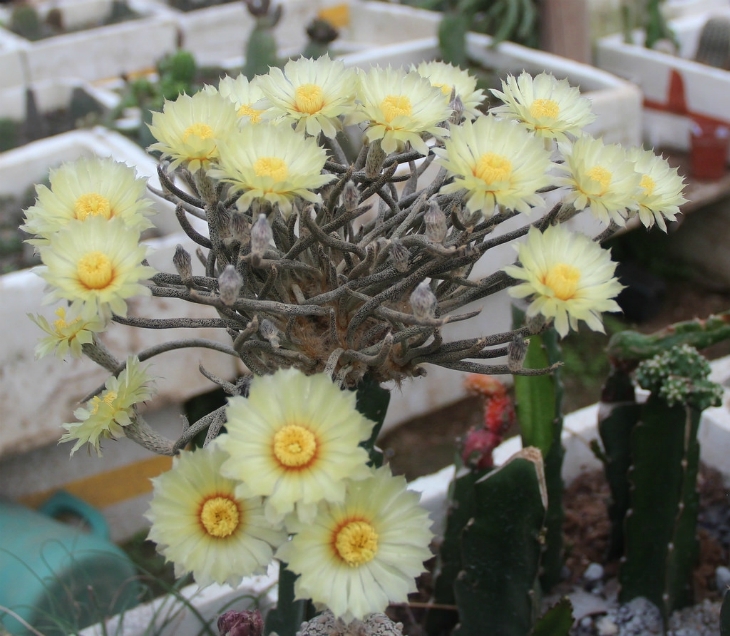 The interesting thing is that the cactus blooms only during the night and each flower opens only one time. 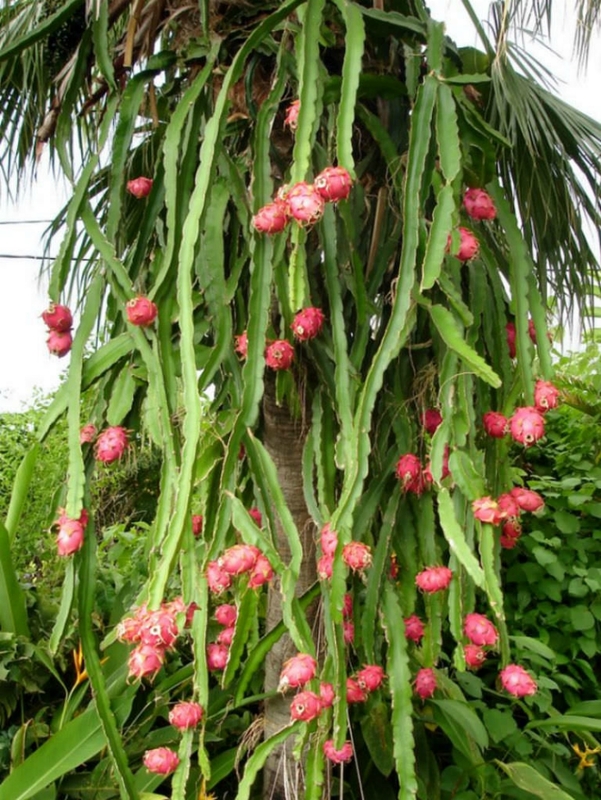 This fragrant plant produces delicious dragon fruits. This unusual looking cactus plant actually has both leaves and spines. Pereskiopsis spathulata grows extremely fast. Plant also produces flowers. The seeds are very rare in the wild but it can easily be cut and replanted.